It takes a scientist about six years to develop a new variety of tomato. During this time, tomatoes are crossed and grown in multiple seasons. 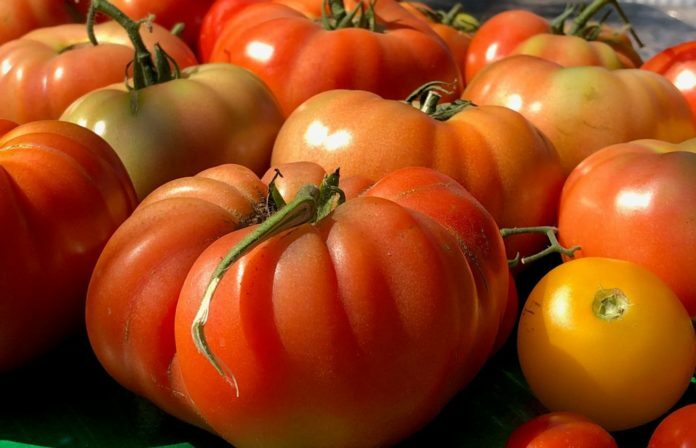 To make the most of the breeding efforts, the tomato will be grown in several different areas of a state or region and under different conditions such as an open field compared or under a protected environment. The success of the new tomato comes down to “taste.” What does the consumer think? Today, you have a rare opportunity to put new tomato varieties to the test of your taste buds. So, join the staff from Texas A&M AgriLife Research at 10 a.m. at the Growing Growers Farmers Market in McAllen’s Firemen’s Park. Two new Texas A&M varieties will be compared to tomatoes that are already in the market place. A short form asks the consumer to rate the taste, color and texture of each tomato. The process goes quickly (10 minutes or less). The results of Texas A&M’s taste tests will determine whether or not a new tomato, or two, will be released for production. You may play a valuable role in what tomato makes it to market. I will keep you posted on fate of the tomatoes. The taste test will be in the kitchen area of the Growing Growers Farmers Market. The market is located under the pavilion at Firemen’s Park on the corner of First Street and Business 83 in McAllen. The market is open from 9 a.m. to noon every Saturday and includes locally grown fruits, vegetables and herbs, along with eggs, grass-fed beef and fresh baked goods. For information or directions, call (956) 330-6410.